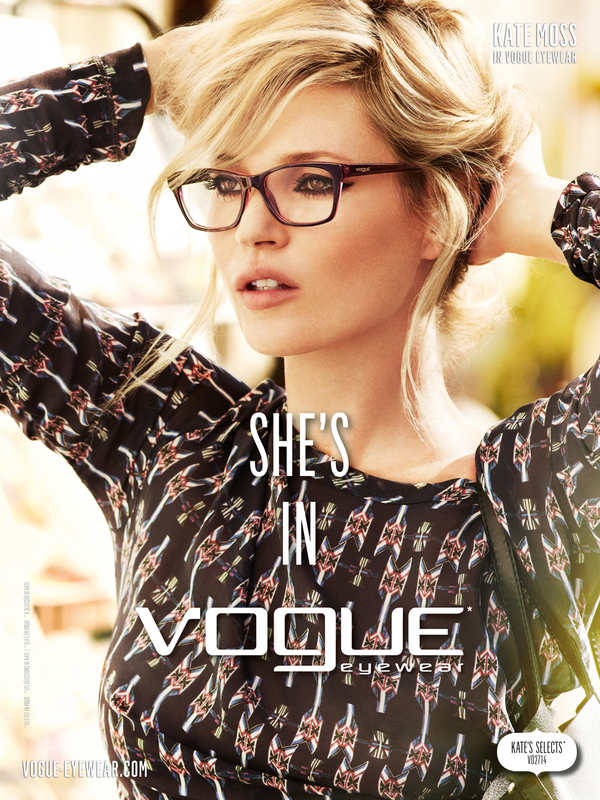 Kate Moss is the face of the advertising campaign for Vogue Eyewear for spring summer 2012, the beautiful British supermodel was reconfirmed after the successful previous seasons. Kate Moss is a beautiful girl who just recently had a spat with Gwyneth Paltrow, the two blondes were in Mexico at the beach, Kate while eating crisps asks Gwyneth because she cares so much to run, she replied “Not aging bad as you, “Kate pulls him the french fries … and also right! 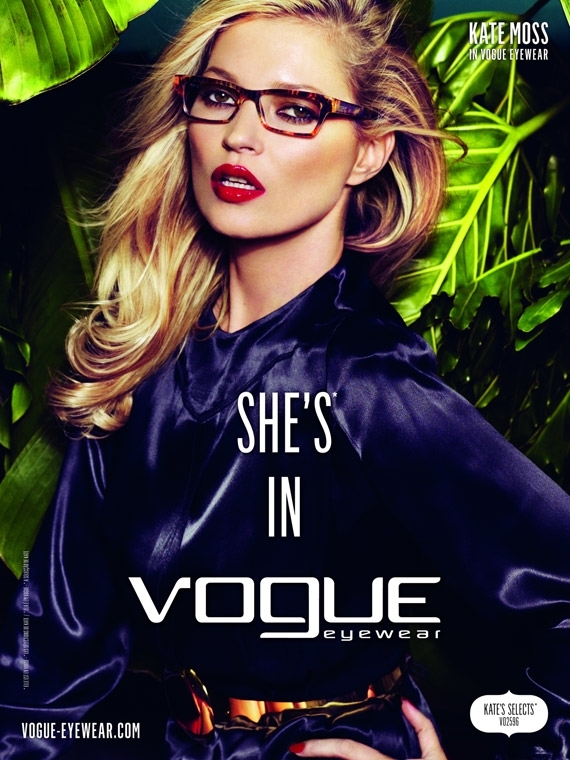 Kate Moss was chosen by Vogue Eyewear as the testimonial advertising campaign for spring summer 2012, the British supermodel is in addition to other beautiful, the Barale and Budchen that the brand wanted as a testimonial. Again this year the photos were taken by the great Mario Testino, a fashion photographer quoted and celebrated, which is also a great friend of Kate.”Working with Mario is always fun, we had a great time together,” said the British model about this advertising. The photos are beautiful, sunny, glamorous but also very simple, tell of a Kate very far from the excesses, the scandal cocaine and a turbulent past that while it has made ​​it a bit ‘ “reitta” the other did win contracts with several zeros. This year’s campaign is very beautiful, light and carefree, Kate looks very young, seems to have the freshness of the early years of his career . A service that is not bright and glossy as that of last season but, in our opinion, goes well with good weather! 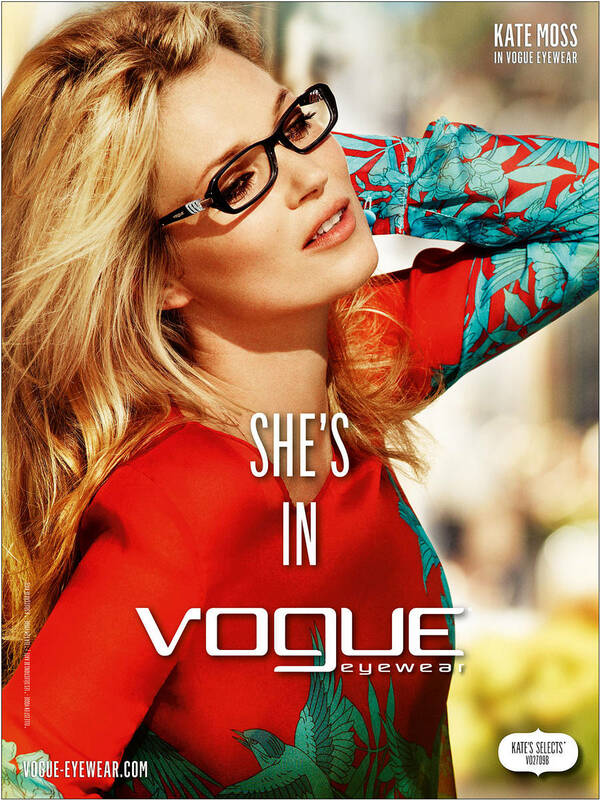 For spring summer 2012 Vogue Eyewear offers us many models of sunglasses from mood retro and inspired by old forms sixties, glasses “cat’s” proposed in various models and colors. Sunglasses ranging from classic aviators to the more round and then move on to more cheeky frames like the one in resin candy pink. The collection is completed with the vision models, simple and glamorous like the one in black resin with rectangular lenses. 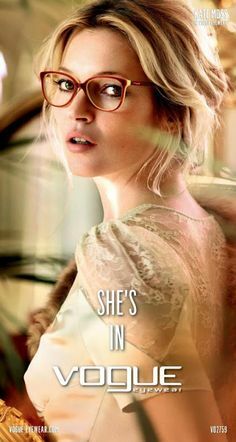 Kate Moss for Vogue Eyewear Spring/Summer 2011.